"Fight Club", la suite sous forme de bandes-dessinées? "Fight Club", la suite sous forme de bandes-dessinées? 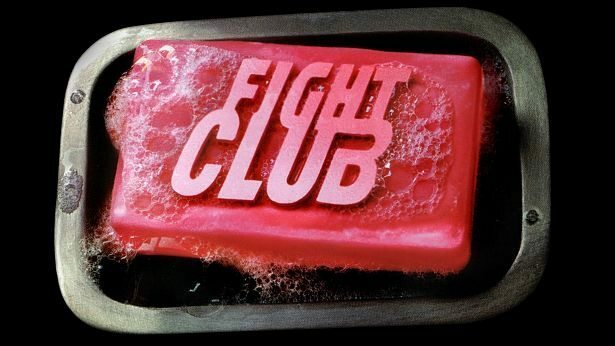 Accueil +Culture La suite du film « Fight Club » ? Si aucune suite du film de David Fincher adapté du roman de Chuck Palahniuk n’est annoncée pour le moment, il semble que l’histoire originale devrait en revanche y avoir droit ainsi qu’à un prequel. C’est sous forme de bandes-dessinées que l’aventure continuera. 10 tomes qui permettront aux fans du film ou du roman de connaitre la suite ainsi que les origines du mystérieux personnage de Tyler Durden, interprété par Brad Pitt. Le premier volet devrait paraitre à partir du mois de mai 2015 aux Etats-Unis, mais le romancier et le réalisateur seront également présents au Comic Con de San Diego pour fêter les 15 ans du film, ce qui pourrait laisser entendre qu’une suite sur grand écran puisse être envisageable. Article suivantIl présente son CV sur….une barre de chocolat ! I do enjoy the way you have framed this specific challenge and it does indeed supply us some fodder for consideration. Nonetheless, through just what I have seen, I really wish as the commentary pack on that men and women continue to be on point and in no way start on a tirade involving the news of the day. Anyway, thank you for this outstanding point and even though I can not really agree with the idea in totality, I value the viewpoint. hey there and thanks in your information – I’ve certainly picked up something new from right here. I did then again expertise a few technical points the use of this web site, as I skilled to reload the web site a lot of occasions prior to I could get it to load correctly. I were thinking about in case your hosting is OK? No longer that I’m complaining, but sluggish loading cases times will sometimes impact your placement in google and can injury your quality ranking if ads and ***********|advertising|advertising|advertising and *********** with Adwords. Anyway I’m adding this RSS to my e-mail and could look out for a lot extra of your respective intriguing content. Ensure that you replace this again very soon.. Thanks for one’s marvelous posting! I really enjoyed reading it, you could be a great author.I will make certain to bookmark your blog and will come back later on. I want to encourage you to definitely continue your great work, have a nice afternoon! Hello There. I discovered your weblog using msn. That is an extremely well written article. I will make sure to bookmark it and return to read extra of your useful information. Thank you for the post. I will certainly return. Do you mind if I quote a few of your posts as long as I provide credit and sources back to your weblog? My website is in the exact same area of interest as yours and my users would truly benefit from a lot of the information you present here. Please let me know if this ok with you. Appreciate it!